I plan to continue seeking out the new with my writing. Explore unusual ideas, see where it takes me and enjoy the ride . I suspect I’ll sometimes get into sticky sand again, but that’s part of the adventure. I hope you’ll come along and try the new trails with me. Grieving and guilt-stricken after her husband’s suicide, Kasey Martin has closed her energetic healing practice and retreated to her Oregon horse ranch. One night, she rescues a badly injured man, and against her better judgment, uses her neglected skills to save his life. This starts her on an unexpected journey of healing and danger. Complicating her life is Jim Bradley, an old friend who has long been in love with her and wants her to return to her work. When criminals looking for her patient invade the serenity of her world, she must use her skills to save all three of their lives. One dead body is frightening enough, but a second one, plus a dirty cop, sends chef Mikela Richards fleeing for her life. The ultimate city girl finds a safe hiding place on a Wyoming Dude ranch, where she tries to discover if the murders are connected to the mysterious computer memory stick she found in her car. But her fragile feeling of safety is disturbed by a compelling Marine, home on leave. Back from Afghanistan to heal both physically and emotionally, Shawn Saunders recognizes the type of fear in Mikela’s eyes—it’s one of the things he’s come home to forget. Even though he knows it’s a bad idea, he can’t stop himself from trying to help her, while she’s even more afraid of letting him. In spite of their reservations, neither can resist the pull of their attraction. 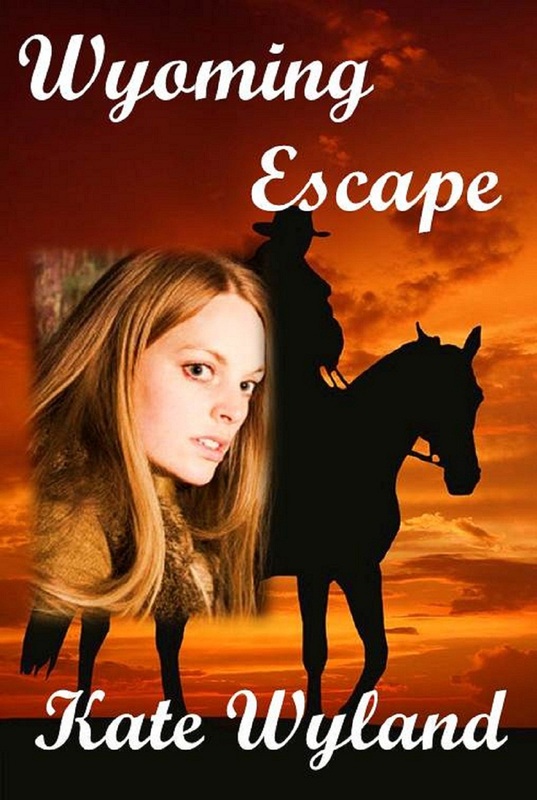 Mystery, Suspense, Romance and Horses! My favorite things in a book. Love the new blog. Good luck!! Very nice Blog. Great new beginning for you. Congratulations. The picture is beautiful, Kate. Sounds like you’ve got lots of neat experiences to roll in to stories. Best wishes to you in your writing. Yep, quick sand would make me leery, too, but it sounds like you (and Star) had the courage to press on and look where it got you today! I’m so glad to meet you. This is a great blog and thank you for sharing! Thanks everyone for stopping by. It took me a while to figure out how to see your comments, but I think I’ve got it now! Now to think up something new to say for next week. This looks great, Kate. Congratulations on getting it up and going. Good luck with the writing! Good luck on blogging Kate. Make it fun or it will drag on your time! Think about what you are writing, the mistakes and lessons you’ve learned–and then pass them on. Looking good, Kate. Best of luck with your blogging. Good Luck, It looks good. Again, thanks for stopping by. This have gotten very crazy this week – long story – so I’m a little slow and not doing individual replies right now. See you soon, I hope. It looks great, Kate . . . congrats and enjoy! Wow, you could be me! My horse was a guy and his name was Twiggy – he was a skinny guy from the 1960’s. We were both free when we were together. Congrats on your new blog, I look forward to following your career as it seems so similar to mine that I feel like you are a kindred spirit! Thanks for stopping by. I will check out your blog too. I’m sure there are a lot of us “horse crazy” girls out there. I love the look of your blog. I’m not too fond of riding horses, but love to read about them. Very nice blog Kate. I never was around horses but I like reading books where they’re involved. I’ve been learing a lot about how not to “use horses” in writing by reading a few blogs on them. Good luck and have a great day. Hi Kate, from another Kate/Cate and fellow horse lover. I liked the horse drawing in your icon/profile pic from your comment on McKenna’s blog and followed the link and now I’m here! Mystery, romance and horses sounds like a brilliant mix to me. Hope it’s all going well! Cate, thanks for stopping by. I hope others like my debut book when it comes out later this month. I have a great love of horses too. Anything that pops up in my email from you I read. I love your writings and the fantasy world of horses. Kate, I love your blog. I look forward to reading it. I have loved horsesy whole life. Good to meet you. Thanks Janet. Nice to meet you too. Glad you’re enjoying the blog. Hi. I just finished reading your book Forewarning last night. I’ve just posted my 5 star review at Amazon and Goodreads. (B&N did not list your book as available.) I decided to see if you had a web page but found your blog page so thought I’d drop a note and tell you personally how much i loved the book. When will the next book in the series be available? Best of luck in all you do. Thanks so much for your kind words. So glad you enjoyed Forewarning. And thanks for the great review! 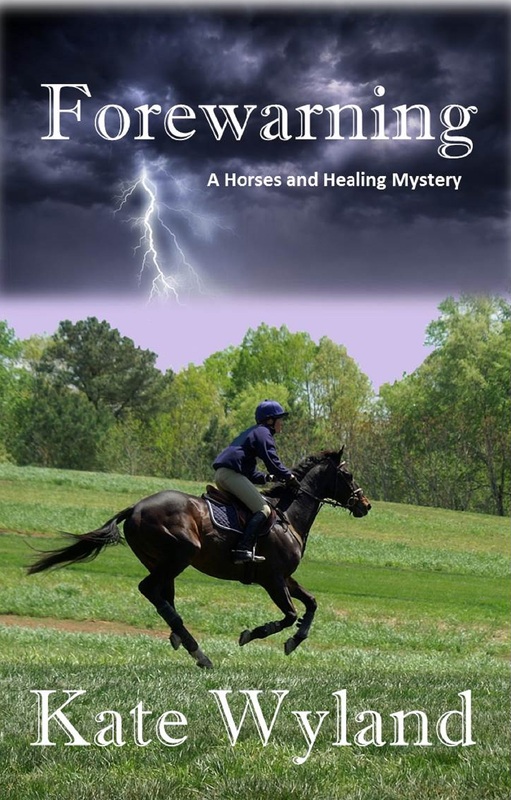 I’m currently working on the next “Horses and Healing” mystery. This one is set in Arizona and features a psychologist who does Equine Facilitated Psychotherapy with children. Should be out this Fall. I’ve had a crazy year so haven’t written as much as I intended.